My fifteen-year-old son, Dylan, saw Kung Fu Panda with his dad and uncle this past summer. Ever since the video was released last week, he has been bugging us to death to rent the video. Well, I broke down and bought the DVD for him today as an early Christmas present. We all sat down in the living room and watched it tonight. I thought the movie was delightful from beginning to end. First of all, Jack Black, is one of my favorite performers and he heads the voice cast as Po the Panda. I don't want to be a spoiler and tell you all about the movie but it's definitely worth seeing. Go watch it and then come back tell me what you thought about it. We just got it from Netflix, and will be watching it after school gets out. This is great to know! I think my 10 year old would then love this. I will have to put it on Blockbuster list. This will be a great one for him to watch on Thanksgiving brake. Melissa - I'm sure you'll like it! B Boys Mom - He will love it and I bet you will too! I have watched this movie and it was very funny. My 3 year old daughter watched it all day long. Raquel - Aren't kids funny? They can watch a show over and over and never get tired of it. 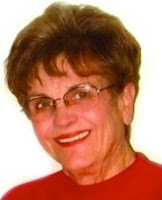 Sandi - I found myself grinning through most of the movie. It's great! I love that line too..but overall i think kung fu panda is great .Kids can learn fom it too such as believing in yourself. 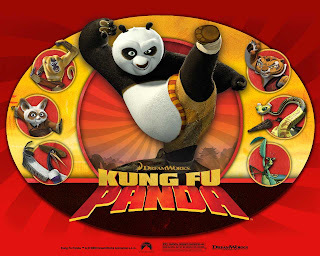 I think Kung Fu Panada is the best animated movie ever. Because of the message of the movie - to always continue in believing what you believe in no matter what others say. And that you become what you think you are.